Connect the power cable from the back of Popsical sound to a power port. Press the power button on the front of Popsical Sound. Option A: If your TV has a 3.5mm AUX port, connect the AUX to RCA cable to your TV (AUX-side) and the Popsical Sound (RCA-side). 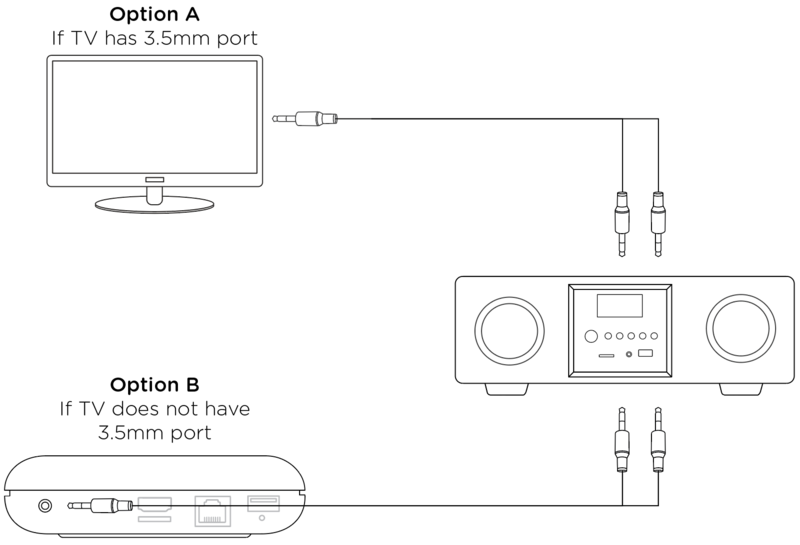 Option B: If your TV does not have 3.5mm port, connect the AUX to RCA cable to the Popsical (AUX-side), and the Popsical Sound (RCA-side). 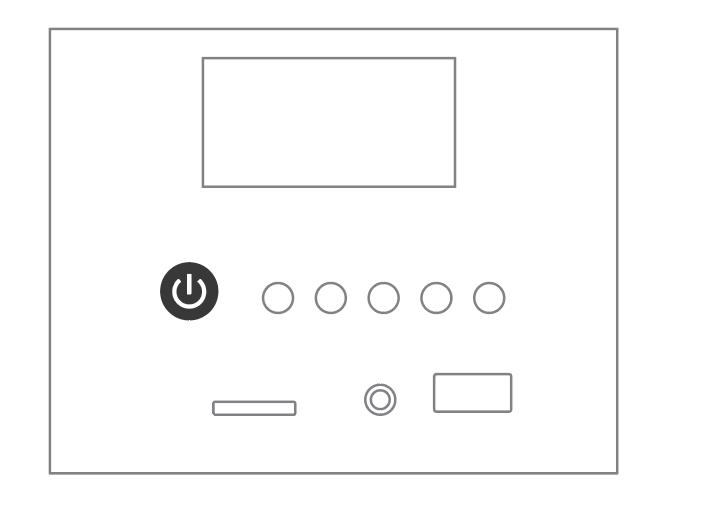 Option C: If you wish to go wireless, you can connect your Popsical Sound to the Popsical via Bluetooth (Home Screen \ Settings \ General Settings \ Bluetooth). Option C: If you wish to connect via Bluetooth, press the "Input Button" on the front panel of Popsical Sound until the screen displays "BLUE...", and you hear the voice prompt say "Waiting for Pairing". 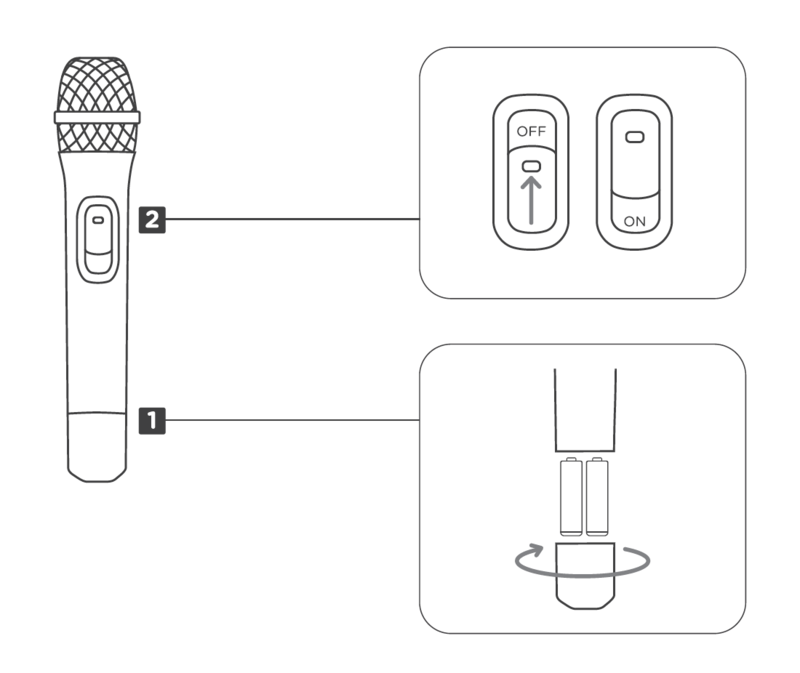 First, insert the batteries into the wireless microphones. Next, switch on the microphones. They will automatically connect to Popsical Sound, "Microphone On". It's that simple! You are all set to karaoke. If you don't hear the voice promp say "Microphone On", check to see if your microphone batteries have gone flat.